BMW AG will exceed its Chinese 2010 sales target, Ian Robertson, the automaker’s board member for marketing and sales, said at the Paris auto show. 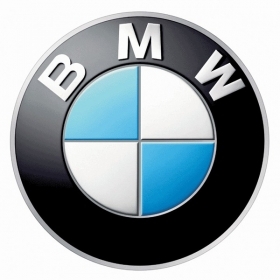 “We announced back in April that we would sell 120.000 BMW Group vehicles in China this year. Due to the extremely positive development in this market, we are currently revising these figures upwards,” Robertson said. China is now the world's largest auto market after overtaking the United States last year. As wages and living standards rise, there has been a surge in demand for high-end luxury cars. The boom has helped BMW through the recent economic turmoil. The company reported a profit of in the second quarter of this year of 831 million euros, its biggest in two-and a-half years. China's premium car market is expected to double in size by 2015 from its 2009 level of 400,000 units, according to a report by Bernstein Research analyst Max Warburton. BMW forecasts the Chinese premium market will grow by roughly 4.5 percent a year until 2022, beating growth prospects in more developed markets. “Existing (premium) markets will continue to grow but at a much slower pace,” Robertson told Automotive News Europe on the sidelines of the show.